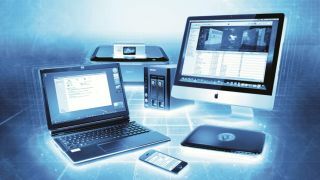 Global IT budgets will only grow 1% compared with last year, according to a Gartner Research survey. The survey also found that 79% of IT spending will be controlled by the IT department, up slightly from last year. Three-quarters of the survey's respondents say they need to adapt their leadership style in the next three years to provide more visionary leadership, rather than control functional IT within the enterprise. According the results of the survey, 41% of CIOs report to the CEO, one of the highest levels ever reported in the survey. However, CIOs say they are spending more time running the IT shop, rather than engaging the board, senior leadership and customers. The survey found that the CIOs with better performance as leaders had at least 5%, or one day a month, of time to engage outside of the IT department. Another challenge for CIOs is risk management. Eighty-nine percent of CIOs surveyed say that in addition to the considerable opportunities afforded by digitalization, the digital world engenders new, vastly different and higher levels of risk, the report states. Almost seven out of ten CIOs say that risk management is not keeping up with present risks. The worldwide survey included responses from 2,810 CIOs, representing more than $397 billion in CIO IT budgets in 84 countries.